across the country, states a Dainik Bhaskar report. Last year in the month of September, it was reported by the Ministry of Road Transport and Highways that with the growing use of FASTAG devices, there has been a significant increase in toll revenue. 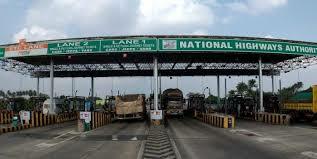 The FASTAG devices allow electronic collections at toll plazas on national highways. By making use of the radio frequency identification (RFID) technology, a FASTAG device enables almost non-stop movement of vehicles through toll plazas. This system is used by commuters to make direct toll payments with the help of prepaid accounts that are linked to it. According to the Ministry of Road Transport and Highways, the move has been a huge relief for regular commuters on National Highways.